David Zwirner has been known for years as one of the most crucial players on the international art market, representing artists such as Josef Albers, Marlene Dumas, Dan Flavin and Richard Serra, just to name a few. Having established itself on the fine art scene, in 2014 the gallery opened a publishing house, David Zwirner Books ran by the son of the art giant, Lucas Zwirner. The newest series published under their name, ekphrasis, allows the readers to dwell into art texts, which were very often crucial in the shaping of art history, but nowadays might be difficult to access, are out-of-print, or were lacking translation in English. The series includes eight beautifully-presented volumes of writing on visual culture. The title of the series refers to a literary description of works of art produced as a rhetorical exercise. The books differ in their nature, are written by writers, artists, art historians and art dilettantes, however, reading through them, one can notice that all authors shared unconditional love for art. The author of Psychology of an Art Writer, Vernon Lee, an openly lesbian, feminist writer, was no exception. Her male pen name disguises Violet Paget (1856-1935), mostly known to English-speakers as a writer of supernatural fiction. Born into a family of English emigres, she spent most of her life in Italy and developed not only an interest in art but also a keen eye for it. Being a very fertile author, she left behind over a dozen volumes of essays on art, music, and travel. 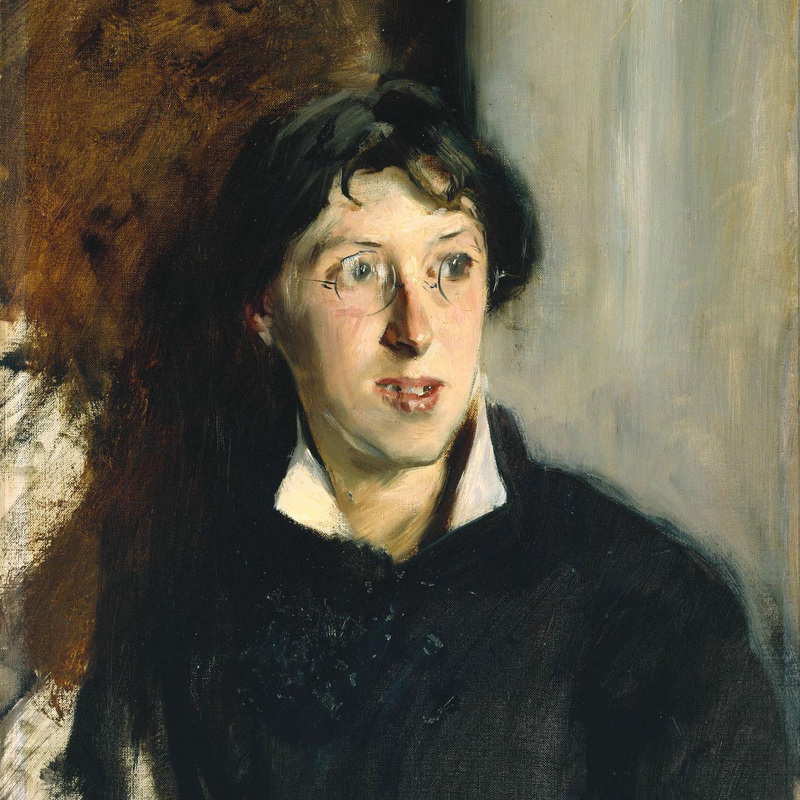 Lee is considered to be one of the most important writers for the aestheticism movement, who contributed to the Yellow Book journal, but was also a real socialite, who knew numerous influential art personas at the time, including John Singer Sargent, who was her life-long friend and painted her portrait in 1881. The volume’s first part comes from Lee’s Psychology of an Art Writer, in which she outlines her methods, and her purely individual autobiographical account is treated by her as empirical evidence. The author explores what it means to experience aesthetic pleasure from artworks. In her writing, she focuses on the role of memory, its effects on our perception and ability to change our opinion on an artwork, but also takes into the account individual experiences of pleasure and aesthetic experiences. One of the most amusing aspects of her works is the attention she puts on the relationship of image to sound. Some pieces work well with Bach, some work better with Chopin. And there is no rule to the author’s preference, just evaluation of her own, subjective associations. It is even more deeply explored in the second part of the book, which contains extracts from Vernon Lee’s Gallery Diaries. In them, she collected her impressions of works of art seen in various art institutions, repeatedly visited by her between 1901 and 1904. The author’s ambition was to describe the artworks in most concrete terms possible, and she based her contemplation on the theory of Einfühlung, an empathy towards and feeling into a work. 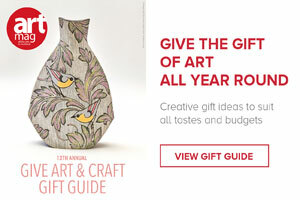 The writer’s approach to art is one which every art enthusiast should have. She walks around the galleries, ponders on the lines, shapes and figures in the paintings, directly confronting them with her own subjective feelings. As she said she “lived intimately with art”. She carefully noted her responses to works which were in her opinion good or bad, and to Vernon Lee even a good work can be “totally without imaginative or emotional quality”. She emphasised the importance of our past experiences and exposure to art in our judgement. 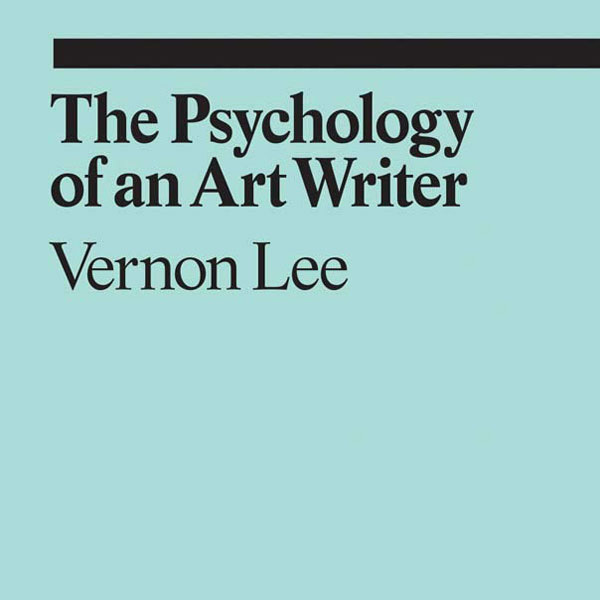 The Psychology of an Art Writer is a captivating account of many famous works of art, and Lee’s subjectivity only works in the reader’s favour. Instead of bringing up difficult, abstract theories, the author’s tools are those which we all have; our patience, our memory, our ability to look at and analyse what we see and feel. But most importantly, it is humane. Vernon Lee is not your art professor telling you what to think and see in a picture, but is more of a friend, who can be irritated by paintings, sometimes “tired in body and spirit”, occasionally cannot focus on looking, but at all times is genuine in her reactions.